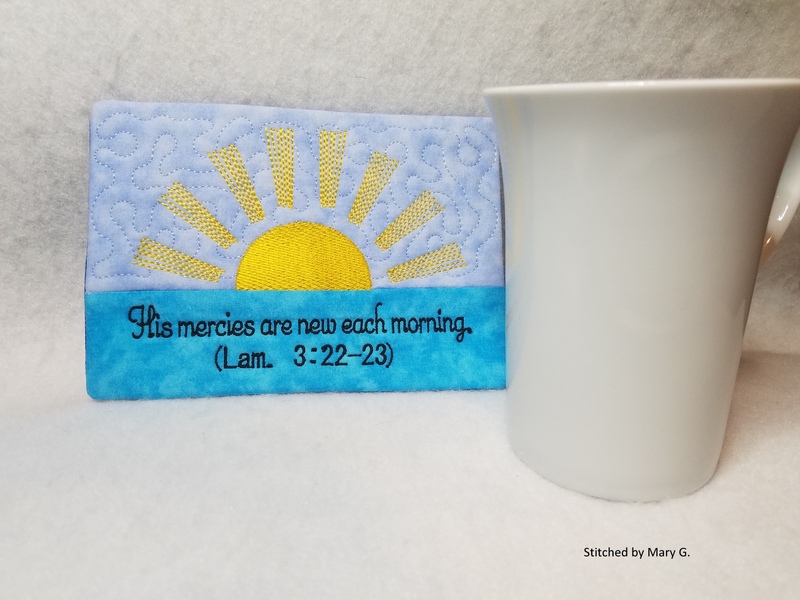 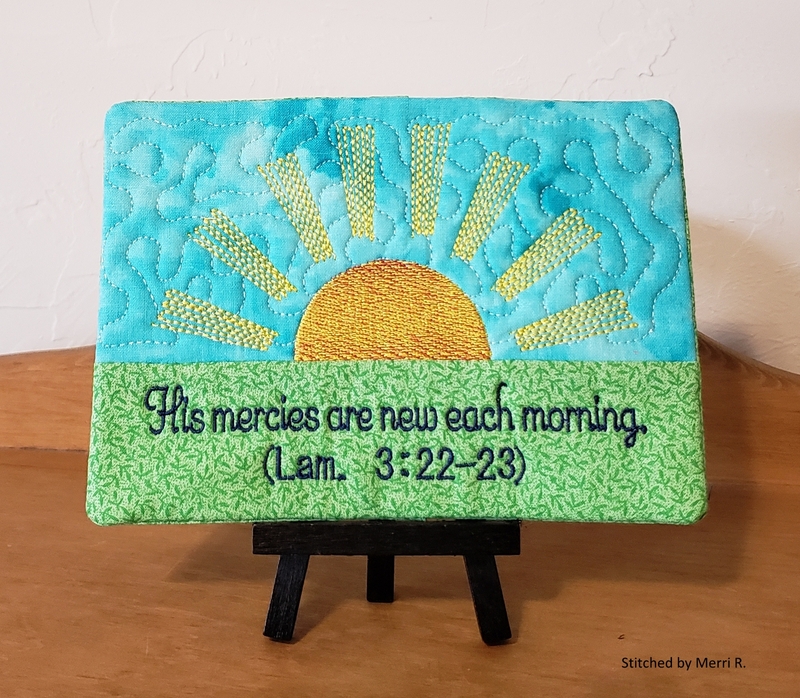 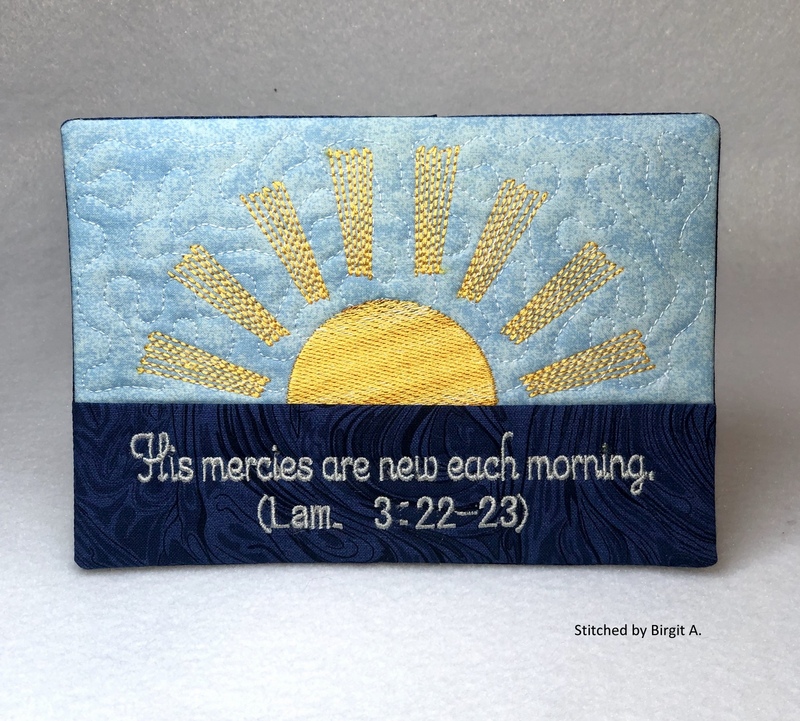 Hide Description Show Description This mug rug with encouraging scripture is quick to stitch out. 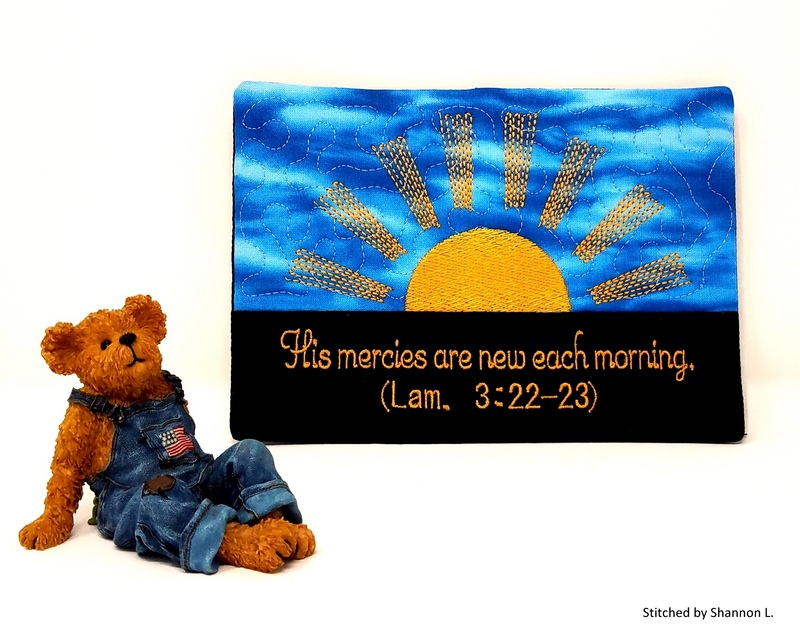 The background is stipple quilted and the contrast fabric strip is attached during the embroidery. 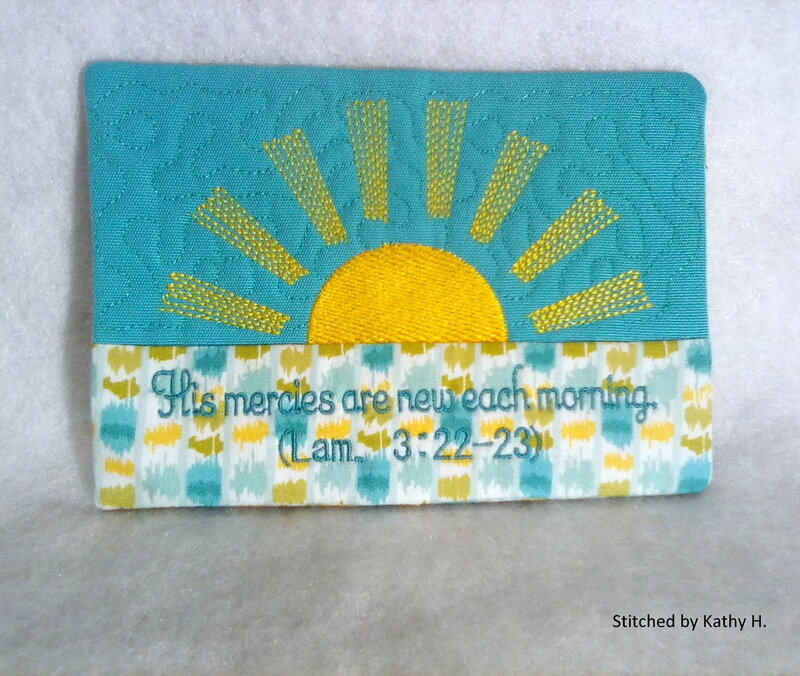 For the sun a color blending technique was used.